No other teacher cares as much about what you are going to do when you leave school. Well, that isn’t strictly true. Teaching isn’t just a job. Mainstream teachers care about what their students plan to do… but their main responsibility is to get students to learn maths, or physics or geography. The role of a careers teacher is much more important than that!!! It is the role of the careers teacher to guide students as they unearth their best possible pathway to follow as they leave school. That is their passion. That is what they care about more than any other teacher. They have a toolbox of aptitude tests and quizzes and exercises and exploration tasks that will help to guide you to your best possible future. Check this Coggle Map to start your own exploring. Not only has your career teacher got first hand experience of being a university student, they have kept up their knowledge. Every year all of the West Australian universities run professional development programs for careers teachers. These are wonderful relaxing days where careers teachers are pampered, indulged and spoilt as they are given all of the information they could need to recommend THAT PARTICULAR university to hundreds of prospective students. These days out are organised by university careers staff who form a close relationship with school based careers teachers. If ever your teacher doesn’t know something about a course, they just ring their friendly uni based career advisor and get the answer for you. This pathway has sometimes been a bit tricky for careers teachers. While many teachers have vocational qualifications they often do these courses part time so don’t have experience as a full time TAFE student. Once the mining boom came along employers needed trade and technical skills quickly so TAFE courses came into high demand from school leavers. As the digital economy has pushed up the demand for rapid skills acquisition, long theoretical degree programs have been challenged by short, just in time vocational courses. Careers teachers struggle to keep up with the massive changes that are taking place across all industries so they hook up students who want an apprenticeship or traineeship with experts in the Australian Apprenticeship Support Network . This Coggle map gives an overview of how to get an apprenticeship or traineeship. Get more information at This is How You Get an Apprenticeship in WA. For students wondering about technical or health para professional careers they now hook them up with careers staff or expert lecturers via the Jobs and Skills Centres which started up last year. Your careers teachers are the kings and queens of networking. They will know who will know the answer to your question. There was a woman at the Skills Expo last year telling everyone they were doing their job applications all wrong. They should buy her special job application course if they ever wanted to get a job. Careers teachers know what employers are looking for and give you at least ONE good way of writing a job application and cover letter. They set up mock interview and do their best to make you anxious so that you know what it is like to go for a real job interview. This is a career teachers fundamental toolkit. They know this stuff and they teach it. Despite all of that hard work preparing students to go for jobs, employers complain about bad spelling, poor sentences, lack of care, not answering the questions…… yadda yadda. Career teachers are able to give you all the knowledge and skills you need to write a good job application and do a fair interview. Learn from your school based careers teacher. You don’t have to pay a fortune. If you would like to do a job application and interview course check out your local Jobs and Skills Centre. They run free courses and will give you one on one support. You don’t have to be thinking of a TAFE course to go to these Centres. Give your careers teacher every chance to help you to unearth what is possible. Go to see them early and follow their advice. If you have a strong bond with a year or VET coordinator, or student services teacher you can go to them. Having great rapport with a wise teacher you trust is important. They can consult the professional careers teacher for information and support as you work towards your goal. Poor career choices can cost you time and money, but more than that. Poor career choices can leave you feeling lost and depressed. Take your career exploration and discovery seriously while you are in the familiar, supportive school environment with teachers who care about you. Discovering your dream career could be your reward. Thanks for the latest e-mail Bev, and for all the information and inspiring ideas over the year. Since I have become a part of the(In Focus Careers) network I have grown in knowledge and motivation to really make a difference for our young people. 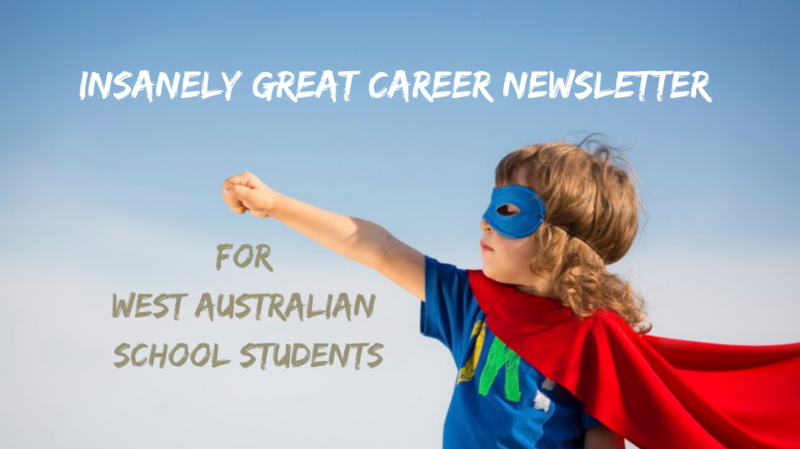 Categories: Career Advice, Career Teachers, Careers Newsletter, Senior school, Year 12 | Tags: Career Advice, careers teachers | Permalink. The future success of students as they leap into the turbulent world beyond school can depend entirely on the care, wisdom and knowledge of their careers teacher. When you leave school there is no bridge to your next chapter. There is no magical path into your ideal future. When you leave school your English (maths, history) teacher has finished their job. They helped you to get the best education in their field. That’s it. Their work is done. There is no one on the other side of the school gate to make sure you succeed. If you had a good careers teacher you will know what waits for you on the other side of the school gate and you will have a plan. It is the career advisors job to know what is possible. They have guided hundreds of students to discover what is possible and plan how to get there. They love helping students to unearth their dreams. Go to see your school career advisor. Tap into their wisdom and knowledge. Their secret power is that they care about your future. If you don’t have a career advisor to help you, go to a Jobs and Skills Centre and ask for help. It’s free. You may be okay while you are still in a supportive, familiar school environment, but leaving school is risky. Australia is experiencing an epidemic of mental health issues in our young adult population. Tap into all of the free support and advice that your school has to offer so that you have a plan with you when you leave school. Tap into support from your career advisor, pastoral care officer, year coordinator… whoever you get along with. Ask them for help to develop a plan. Keep going until you are happy with your plan. Many school leavers go to uni because they don’t know what else to do. Uni career advisors come to school. They tell you how wonderful their uni is. They hold out their hand and say, “Come with me”. So you all get on the uni bus. You can check how much that ride will cost you HERE. Do your research and work with an expert career advisor before you lock yourself in. There are so many VET courses and variations on courses that finding the ideal one for you is like finding a needle in a haystack. The new Jobs and Skills Centres aren’t just for VET courses. They deliver a guiding light to students who don’t know what to do when they leave school. The fear of the unknown often stops students choosing a gap year. Those who do make this choice often choose an organised program that supports them into their future. Find information on taking a gap year HERE. Ask your career advisor what gap year program will suit your personality and future plans. The only problem with getting a job without planning to do any further study is that you are locking yourself into the lowest paid sector or the workforce. Get a job, sure but do a Certificate III part time after school to set yourself up for a bigger income and more career choices. Ask your career advisor what part time courses you can take to improve your future career. Categories: Career Advice, Career Teachers, Careers Newsletter, Careers Research, Leaving school, Planning, Year 12 | Tags: Career Advice, Leaving school | Permalink. Teachers have lots of sites where they share teaching questions. There is also an Education Department (and Catholic and Independent School) focus on quality of teaching. Is there anything similar for VET? The closure of VET in Schools Consulting Services has shone a light on how tough life is for VETiS teachers and ALL VET teachers. I rarely hear VET professionals discusing pedagogy (andragogy, heutagogy). All discussion seems to focus on just surviving under the enormous work pressure, that is at least partially due to the significant compliance demands. By looking at the Department of Training and Workforce Development latest annual report it looks like there is no teaching or learning expertise in the senior management. You can see that the Executive Director has a significant background in Consumer Protection which sounds like a compliance role. There is financial management and financial compliance expertise and expertise in developing strategic policy and in accounting. Nothing there about teaching or learning. Even DTWD advisory partners aren’t education experts. The Training Accreditation Council is concerned with compliance and the State Training Board is concerned that the Department is focused on industry needs. No education best practice gets a look in. I write a careers newsletter for schools and hear the grievances and barriers faced by VET teachers at the coalface. I would love to hear from anyone who knows of infrastructure, or sites or even tips that would help those involved in VET delivery to focus more on teaching and less on compliance demands. Categories: Career Advice, Career Teachers, TAFE, Vocational Education and Training | Tags: VET in Schools, VET teaching | Permalink. Your students need to get out more. Your local council (bakery/architect/hospital) is willing to take on kids for work experience (mentoring/project collaboration). You are about to form a partnership to give kids this great opportunity. Before you walk into the sunset together…. What about a prenup? It is best to talk about your prenup with your future partner while things are good. Things WILL go wrong. The kids will play up or break things. The employer will be away. Duty of care won’t be taken care of. A prenup on the back of an envelop is better than nothing. Who is responsible for what and at what quality. How the partnership is to be managed. If there are any legal issues, like duty of care. If there are any costs and who should pay for them. What IT platforms are you going to use to share information. To stay up to date with careers events and news subscribe to the In Focus Careers Newsletter. Categories: Career Advice, Career Teachers, Collaboration, It takes a village to raise a child, Planning | Tags: community, Planning, work experience | Permalink. We need to become Super Heroes… It’s the only answer. If Careers Advisors are to have any credibility as economic, social and work systems revolutionise….. we need to become Super Heroes. The World Economic Forum engages the best brains in the world to shape our future. Its predictions about issues impacting the lives of career counsellors can be seen in this short video. 20 years ago the life of a Careers Counsellor was easy. Girls became nurses and teachers and boys built things. Once they got their jobs they stayed in them for a long time. There was enough change going on for the life of a Careers Counsellor to be interesting. We knew enough about TAFE and uni and the world of work to give useful advice that matched clients’ abilities and aptitudes. Our work was satisfying. It was easy to be amazing. Just as we were getting a handle on IT and its impact on our lives along came a tsunami of innovation that is blurring the lines between the physical and the digital. Sorting out authentic research from headline grabbing predictions of doom leaves the 2018 Careers Counsellor in an uncertain world. Providing the right information at the right time so that people can think critically and make wise career choices about their future path is increasingly difficult. The following three perspectives are designed to provide a framework for evolving and providing leadership as Career Advisors. Maile Carnegie is simply awesome. She used to be head of Google in Australia and has recently moved to the ANZ Bank. She soothes that while there is a lot of change happening… it is manageable. She reinforces the Foundation for Young Australian’s line that building skills is a constant endeavour. If we focus on building our skills through our jobs that will give us a path to follow. She also points out that while there is going to be 10% of jobs disappear in the foreseeable future, we are also going to lose 6% of the workforce through a retirement boom. Perspective #2 is something that a bunch of us came up with at a workshop at enkel... which is a group of change makers in Perth. Through a pretty impressive workshop process, futurist Adam Jorlen had us come up with 4 different archetypes for the Future of Education. The more I work with these archetypes the more useful I find them. The Expert – Self quadrant describes a traditional education model. This is what we all used to. The expert has mastery of the information and the learner accepts it. In the second quadrant we still have the expert leader but the focus of the education is to create a better world. We have always had religious leaders in this sphere and more recently Mandela and Germaine Greer have led us out of the wilderness. More recent leaders are Jeremy Corbyn and Bernie Sanders. The third quadrant that we identified was the individual using their network to learn. This isn’t new. We have always learned from those around us. We thought the final quadrant was the fastest growing trend. This one is about tapping into and collaborating across our networks to become activists and make the world a better place. Career Advisors can no longer be the Expert. Change is happening too fast. The challenge for Careers Advisors it to learn how to transition from their Expert role into other useful and important roles. The final perspective is on different roles that you can take as change is happening around us. The Protectors are those who safeguard the status quo. They are those who have the most to lose from any change. Hospice workers support the dying system even though they recognise what is going on. Trailblazers are those who try to do new stuff. Illuminators are those who tell everyone about the new stuff. This model can help Career Advisors to clarify for themselves where they want to focus their efforts. So there you have it, three different perspectives that may help you to evolve and lead as Career Advisors. If we are going to ride this wave of change we need to consciously and deliberately seek opportunities to be heroes together. There are organisations that we can support each other through or start your own. I found this really cool quote though enkel. It resonated as a perfect description for what I am trying to do as a careers practitioner. For Careers Practitioners to evolve as leaders in career development we are going to have to become Super Synthesizers. Categories: Career Advice, Career Teachers | Permalink.